Hi, guys this is Mufaddal 'IfuM' Dewaswala, and I will share with you guys what I really like about microbiology. P.S. This would be my first blog so just read and enjoy it, don’t mind any mistakes. I won’t be covering the uses and applications of microbiology because those things are very boring, and we hear those things all the time. However I would like to share a story of my s enior/friend with you guys. Ok, it goes like this, my friend named Ojas N. was once in a shopping market and he was at the cheese section, and he pulled out a cheese packet and a boy (I think he was his brother or something) told him not to buy it because it had the "Non-vegetarian sign" on it and told him that the product had "eggs". To which Ojas replied "No, cheese dont have eggs in them. The 'Non-vegetarian' sign are for the cheeses that include animal rennet." Well, the story ends here, don’t worry, it has a moral. The moral which Ojas told us was that if it wasn’t for microbiology he wouldn’t have ever known about the fact of the cheese and rennet. Now coming back to things I like about microbiology. The first thing that amazes me are the microorganisms itself. Studying creatures which are not even seen with out naked eyes. 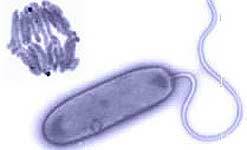 Microorganisms, their life cycle, their food, their behavior. And their interaction with other organisms is also very interesting. 3 broadly classified interaction would be Predators, Mutualists and Pathogens. Tetanus? Pneumonia? Diphtheria? Cholera? Plague? Ever heard these names before? Not just heard but you may also suffered from some of these diseases. These are all of course caused by microbes. Learning about them, how do they cause disease, what can we do to stop them (after an infection), what does our body do to protect itself from these harmful microbes. So you can add immunology and medical microbiology as the reasons for liking microbiology. Now lastly, I like Virology, study of viruses. Viruses? What is so special about them you ask? They are one of the smallest organisms on earth and they are also the ones which cause the deadliest of diseases. Example AIDS which is caused by HIV, it is not curable but it is treatable. And the rabies virus which is a neurotropic virus (a virus which is capable of infecting nerve cells) which is capable of killing some mammals within weeks. So these are the reasons why I like microbiology. There are various other topics/things about microbiology which are pretty interesting.